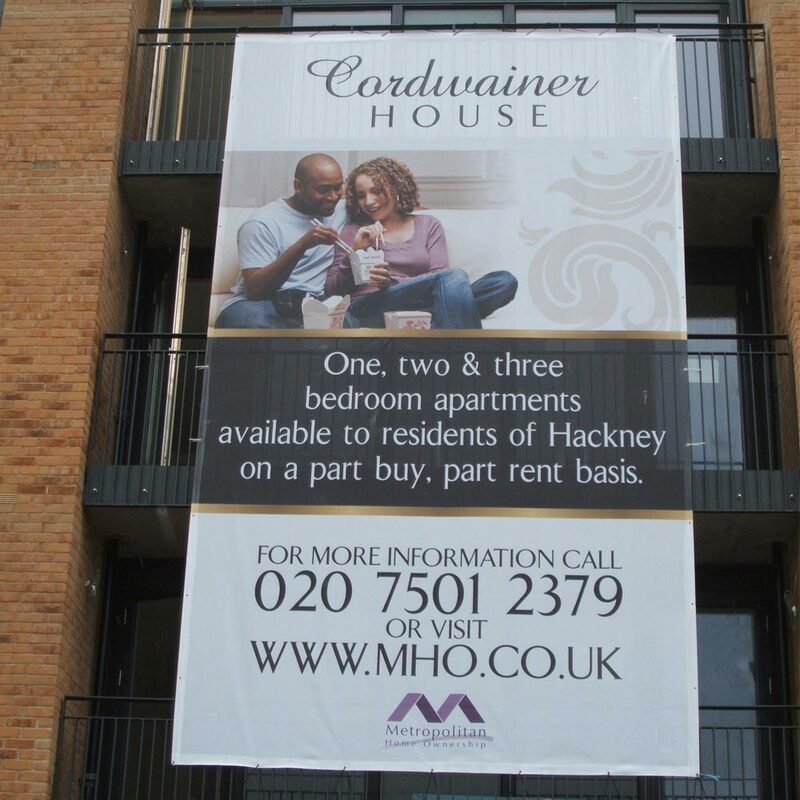 While solid banners are useful to advertise many things, a mesh banner allows air and light through it, making it an ideal material to use in front of windows or off of balconies, as people may be living or working behind the banner itself. 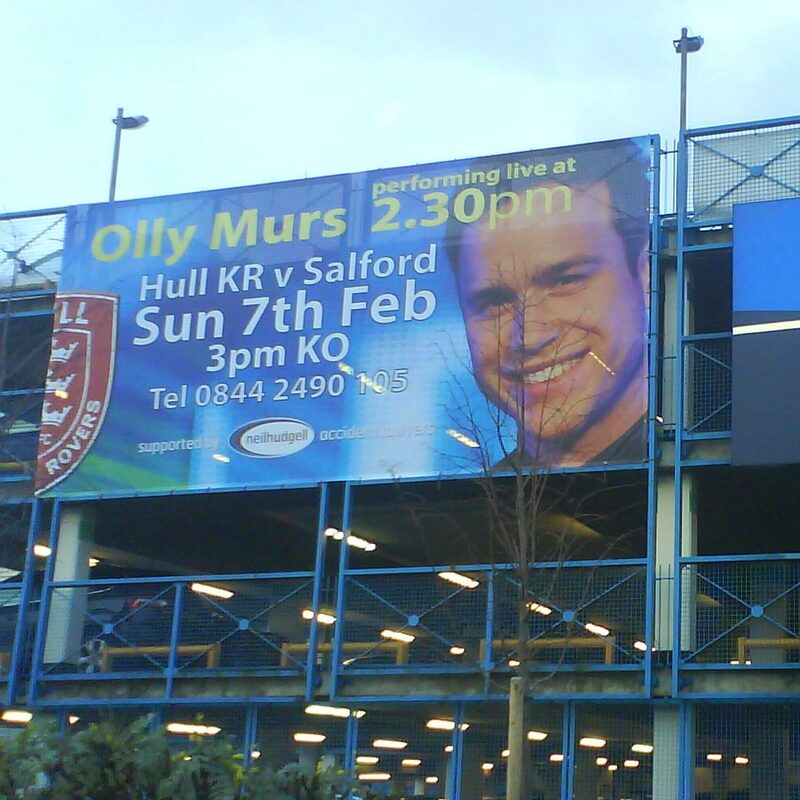 That's why Project Design Print offers this 340gsm Mesh banner on a per square meter basis to fit any size. 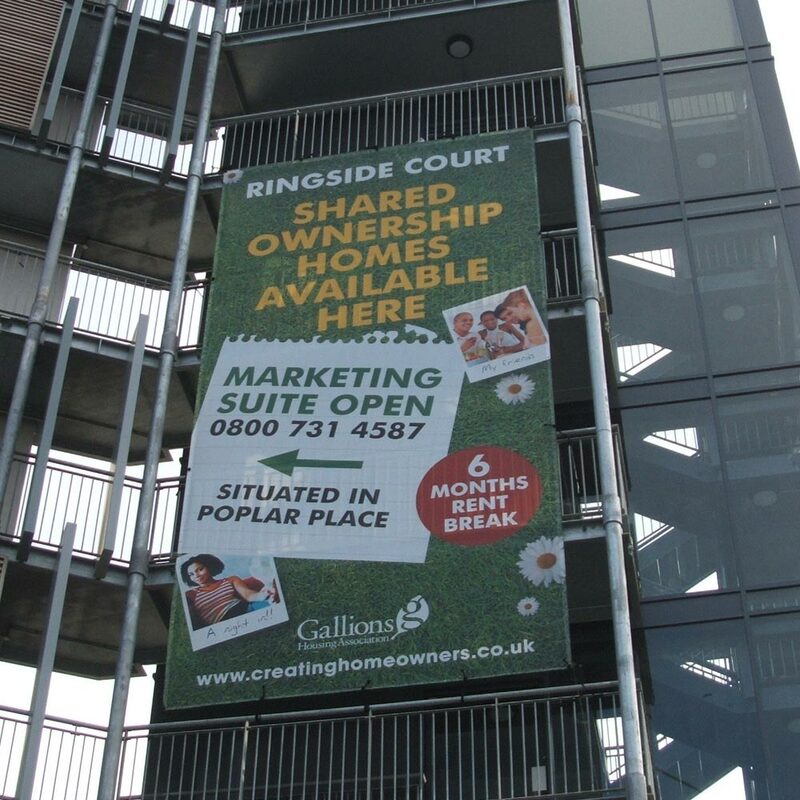 This fine mesh banner allows 25 percent air flow through it, offers enhanced images compared to other types of mesh and has an M1/B1 fire rating, which complies with UK and European Fire Safety standards. All ink used is fade-proof and UV-based, allowing the images on the mesh to withstand all sorts of weather and look near-pristine over a long period of time.